This past November, HRH The Prince of Wales took over editorship of Country Life magazine once again for a special issue. In the magazine, issued 14 November 2018, The Prince of Wales’s tailors provided an article about his life-time of sartorial interest and influence. One of the more striking points made by the author was about conservation of the materials used for HRH’s bespoke pieces. Offcuts of every suit Prince Charles has ever had made are kept, sometimes for many years, in order to mend and make repairs in future. For the author, the simple act of maintaining an archive of cloth 'spoke of the traditional values of craftmanship and frugality, as well as of a long and close association’. In a similar vein, I was interested to hear on Radio 4 recently a piece on ‘Repair Cafes’, which are essentially pop-up repair shops. At these events, volunteers offer their time and expertise to help members of the public learn how to fix anything from their toaster to a bicycle. At Oliver Brown, we too have been struck with a growing need to move away from a ‘throwaway society’ and to move towards a more ‘circular economy’. From an individual perspective, we have a fairly good understanding these days of how our carbon footprint has a direct impact on the health of the planet, but while this responsibility certainly falls to everyone, there is an extra concern for businesses which is often overlooked--failing to care for the environment could leave a negative impression on customers and indeed do a greater harm to the planet than any individual. We each may make a point of using the correct coloured bins and disposing of cardboard and compost effectively, but many people neglect to consider other forms of waste. 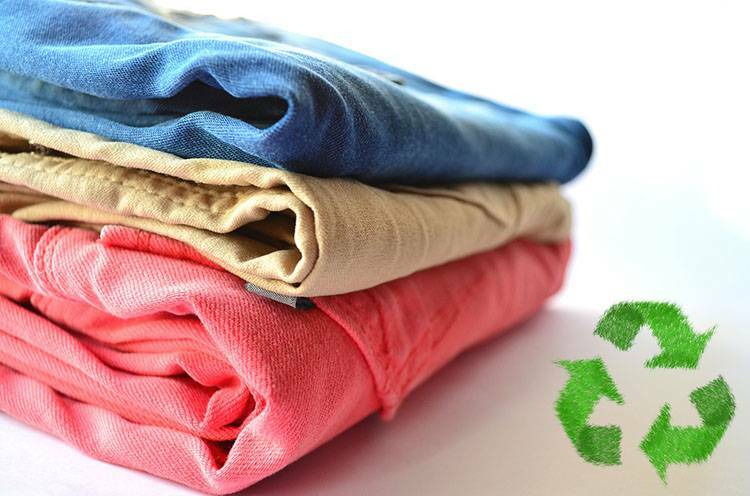 When it comes to truly recycling your garments, the main option available to the public is textile banks. Similar to bottle banks (for glass bottles), they’re metal banks designed for recycling damaged and unwanted clothing. There are many local textile banks available; it’s just a matter of finding them. We at Oliver Brown are making it our New Years' resolution to be more mindful of the way we use (and re-use) resources, from cutting down on paper usage through digitisation and avoiding take-away coffee cups, to seeking out ways to recycle clothing and cloth. It may be a small step for a relatively small business, but collectively we can seek to reduce our carbon footprint and make the business of providing English-made garments sustainable for years to come.